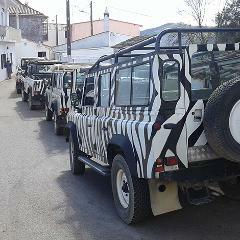 The Arbez Zebra Jeep Safari - Full Day Tour is a voyage to discover the deepest Algarve through off-road tracks, refreshing streams and old villages where time has stopped. A voyage to discover the deep Algarve through rural roads, off-road tracks, crossing streams and passing old villages where time has stopped, aboard of comfortable 4 x 4 vehicles. 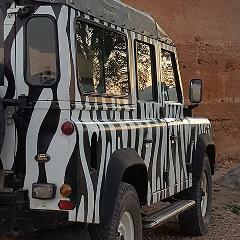 The Arbez Zebra Jeep Safari - Sunset Tour is a trip through the central area of the Algarve by jeep late in the afternoon. A voyage over hills & through valleys of stunning rural beauty. 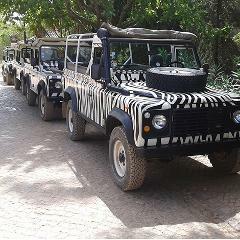 The Arbez Zebra Jeep Safari - Superday Tour is an exciting trip aboard a Jeep for the amazing landscapes, typical villages, the honey, the famous “Medronho” and the fauna and flora of the Algarve, then the sailboat "Condor de Vilamoura". The Arbez Zebra Quad Bike Tour is a drive by off-road trails, at the wheel of a Quad Bike! The Jeep & Adrenalin dedicates a morning to paddle or kayak, modalities that quickly invaded the Algarve beaches, and an afternoon with a journey on board of a Jeep to meet the deep Algarve.